Just because we left our face paint at home didn’t mean we couldn’t show our true colours as sports fans at the TSN Fall Preview. 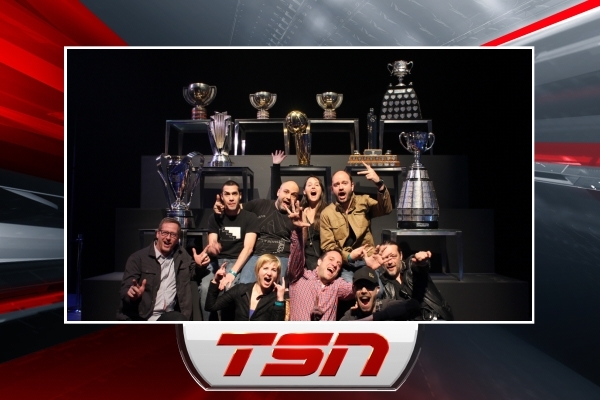 During the media event at CineSpace studios to celebrate the launch of TSN’s newest channel and brand new show lineup, we brought the fans in attendance up close and personal with some of the holy grails of the sports world. Guests were able to have turnkey photo experiences with iconic trophies including the Grey Cup, the NASCAR Sprint cup, the NBA Larry O’Brien Championship Trophy, and many more. We registered guests via iPad, emailed the photos directly, and tried to keep too much drool from landing on the trophies.